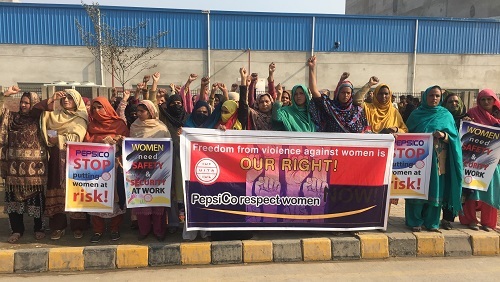 Women workers from the PepsiCo FritoLay plant in Lahore, Pakistan protested on 13 January against ongoing harassment and threats. Management has escalated its repression against female workers since the most recent factory inspection report, in March 2016, failed to even indicate their presence in the factory. Click here to send a message to PepsiCo to stop crushing human rights! PepsiCrush!